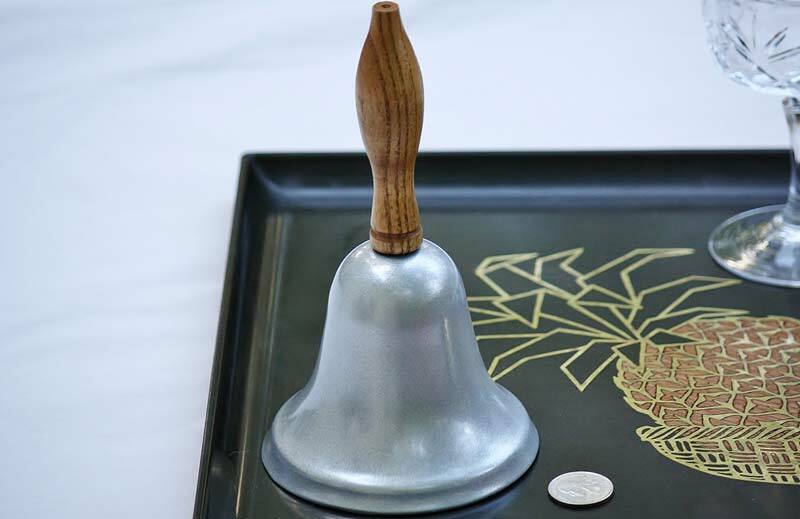 Height: 7 1/8", Diameter: 4 1/16", Handle Length: 3 15/16"
The steel hand bell has an oak handle and a loud, resonating ring. This bell brings back memories of the old one room school houses and makes a great gift for teachers! Another quality product, made in America.